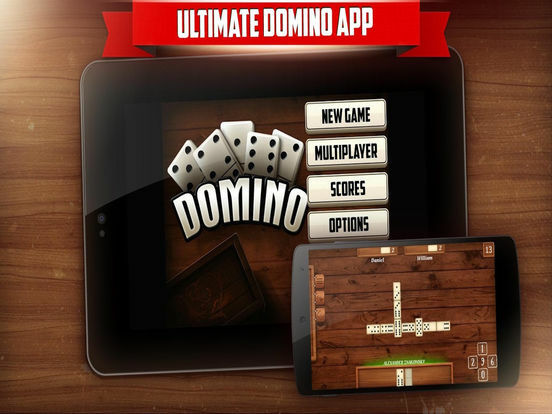 Ultimate domino app for iOS! 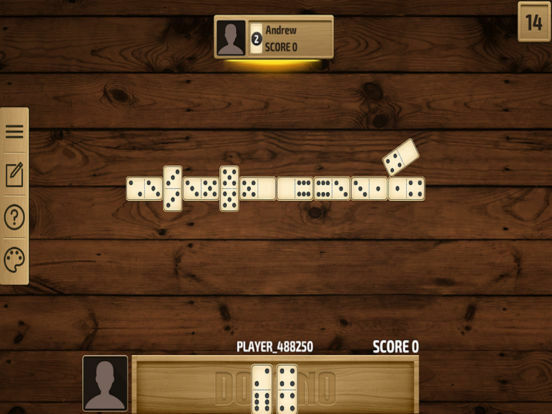 Dominoes (or dominos) is a board game played with rectangular "domino" tiles. The domino gaming pieces make up a domino set, sometimes called a deck or pack. The traditional Sino-European domino set consists of 28 dominoes, colloquially nicknamed bones, cards, tiles, tickets, stones, or spinners. Each domino is a rectangular tile with a line dividing its faceinto two square ends. Each end is marked with a number of spots (also called pips, nips or dobs) or is blank. The backs of the dominoes in a set are indistinguishable, either blank or having some common design. 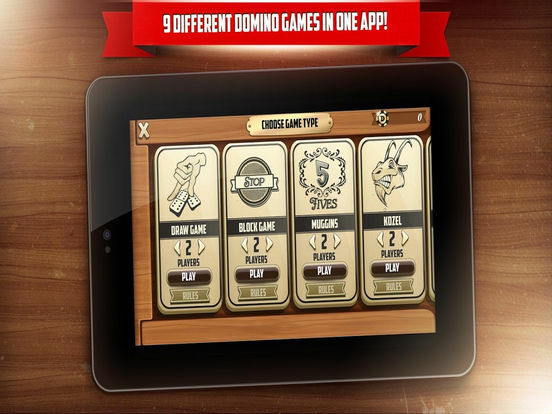 A domino set is a generic gaming device, similar to playing cards or dice, in that a variety of games can be played with a set. 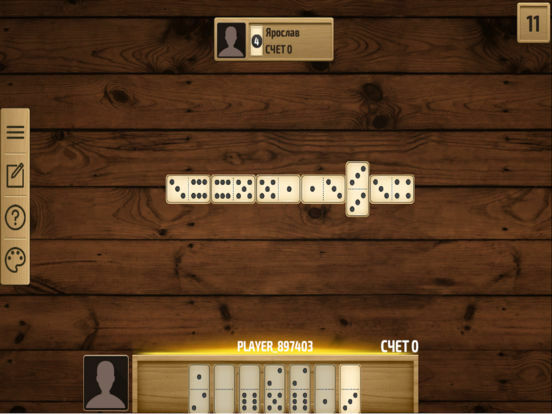 The earliest mention of dominoes is from Song Dynasty China, found in the text Former Events in Wulin. 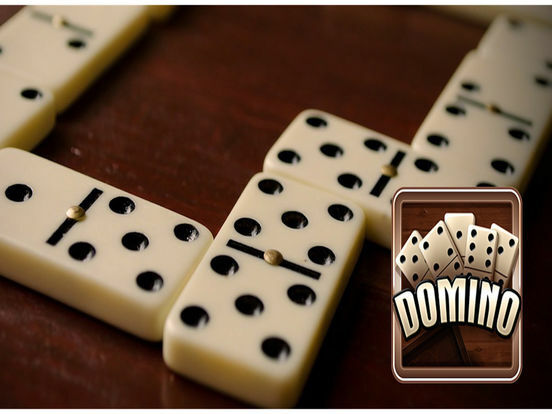 Dominoes first appeared in Italy during the 18th century, and although it is unknown how Chinese dominoes developed into the modern game, it is speculated that Italian missionaries in China may have brought the game to Europe.